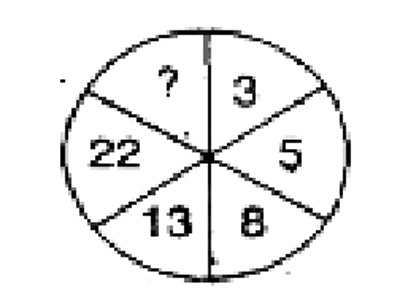 3 x 7 - 3 = 18. 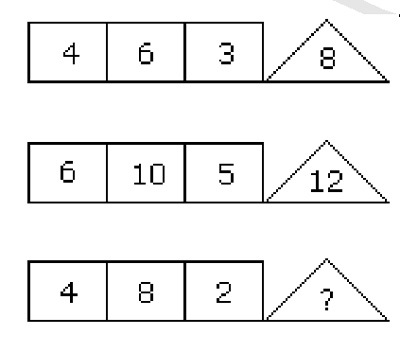 8 x 2 - 4 = 16. Explanation : First column : 112 - 12 = 120. Second Column : 72 - 22 = 45. (First Element / Second element) x 2 = Third Element. 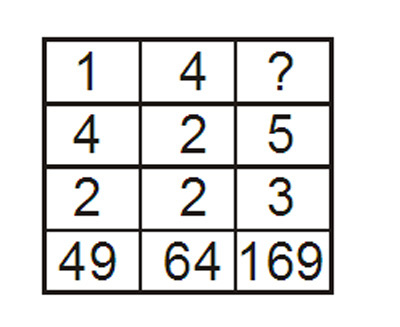 Explanation : Second Row, 2 x 9 + 3 x 17 = 69. 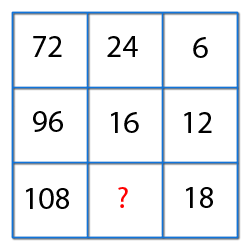 Third Row, 2 x 13 + 3 x 11 = 59. So, 2x + 3 x 13 = 49. 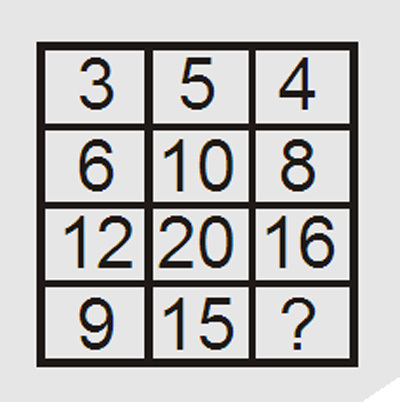 What should be the missing number to make a complete sequence. 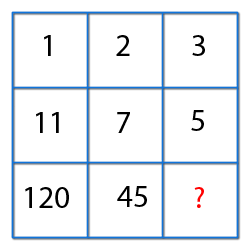 Insert the missing number, to make a complete the sequence. 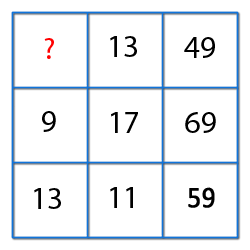 Direction : Select the missing number from the given alternatives. 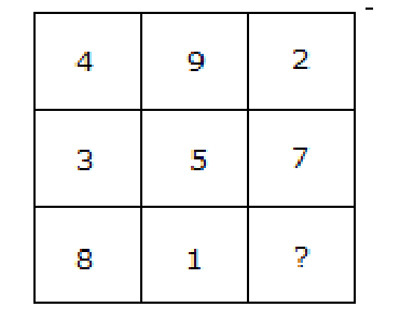 Explanation : Either row wise or column wise if we add, it should be 15.